What are you up to this Thursday until Sunday? If you are around KL City Centre, you really have to drop by KLCC to check out the unique features of Taiwan brought to Malaysia via the anticipated WOW! Taiwan Selects, showcasing over 60 products from some of Taiwan’s best lifestyle brands. Wow! 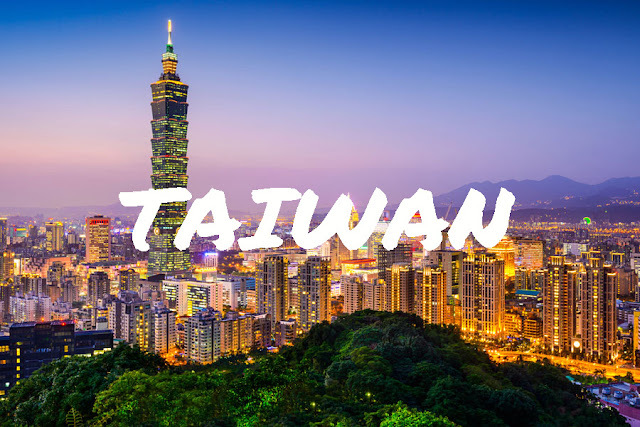 Taiwan Selects is a regional marketing program commissioned by the Foreign Trade Bureau of the Ministry of Economic Affairs which is established back in 2015 to assist Taiwan Businesses to tap into ASEAN and Indian markets. 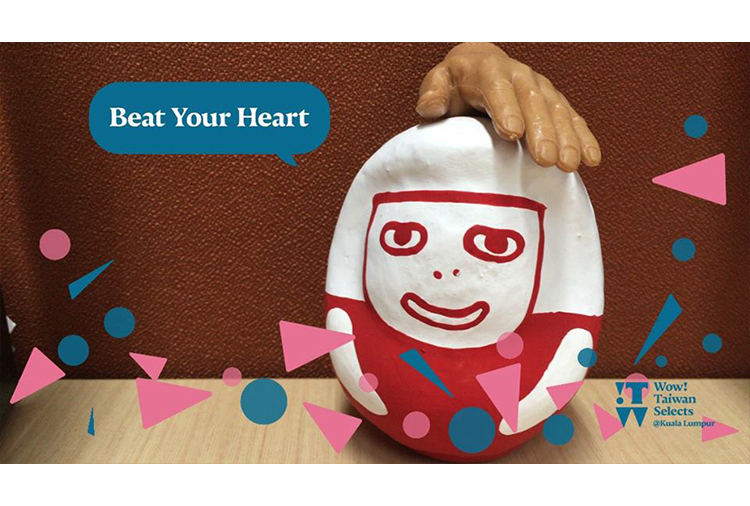 With the theme ‘Beat Your Heart’, the event which will be hosted by the Commerce Development Research Institute (CDRI), Taiwan, will mirror the vibrancy and distinctive traits of Taiwan’s street scene, including an exclusive feature of Taiwan’s famous ‘Little Traffic Light Man’. The four day event offers something for everyone with 20 premium food and beverage, skincare and home appliance brands on display, ultimately treating visitors to an exclusive glimpse of Taiwan’s lifestyle and culture. Beauty lovers will not be disappointed as a wide range of deluxe cosmetic brands will be making an appearance, (huhu, I just spotted a couple of my favourites) including products from My Beauty Diary, UNITOUCH, Aromase, Deer Hills, Dr. Wu, YUAN, Sunray’s, Jeune and Yue Happiness. Health enthusiasts will also get to sample some of Taiwan’s premier healthcare products from KOKO, Da Jin Enzyme, Match Q and Dr. Syngen. For those eager and hungry for a taste of Taiwan’s snack and beverage offerings, the WOW! 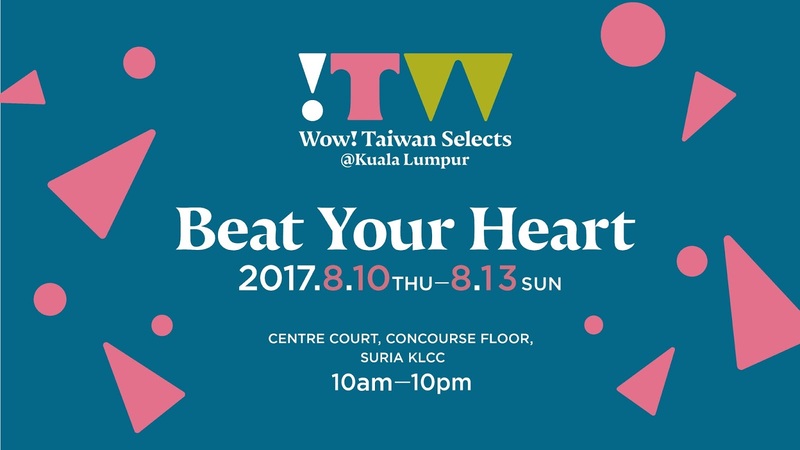 Taiwan Selects event will also feature products from renowned Taiwanese packaged food brands such as Mr. Johnson, Tastywow, Sweet Mountain, Oomph Cold Pressed Juice, Oceanesh and King Kung. Gamers and IT fans should really not miss out on Taiwan’s creativity and innovation by bringing in some of Taiwan’s latest tech gadgets. Visitors will get a chance to try a motion-based AR game at the booth as well as test virtual reality games by HTC VIVE and gaming PCs from Taiwan MSI – a world leading gaming brand and most trusted name in the gaming and eSports industry. Open from 10am – 10pm, WOW! Taiwan Selects invites all to get up close and personal with the various Taiwanese brands on display. The chance to get immersed in all that Taiwan has to offer is certainly an opportunity not to be missed, so see you there.. for me, my husband and me will definitely be dropping by to check it out later..... So do drop by and get yourself a feel and a taste of sone of the best things/products around that Taiwan has to offer..
For more information about WOW! 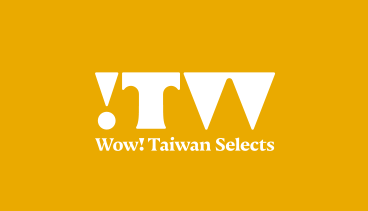 Taiwan Selects kindly visit: http://www.wowtaiwanselects.tw/2017/brand/year/7. Great! Would love to drop by KLCC, since I have never been to Taiwan. Your logo is really cute. :) I've never been to Taiwan. The city looks cool. Planning to go to Taiwan soon. Will go there this weekend to check this out. If I were in KL then I would definitely go, too bad man....I believe there's more chances like this in future too! Taiwan is a really fun and beautiful country to visit! Might be dropping by to check out. I miss Taiwan so much ! Especially the street foods!